With over 40 years of experience, ECB's aluminium Bullbars are designed and manufactured to the highest quality in Brisbane! ECB bullbars being made out of aluminium are lighter than other branded bullbars made from aluminium. ECB being lighter allows for less wear and tear on tyres and suspension as well as no unnecessary suspension upgrades, saving you more money. ECB pride themselves in having a thick wall bar design, with little added weight. With Australia's wildlife, it is important to protect your vehicle from unwanted panel damage. ECB is built to perform, and designed to last! 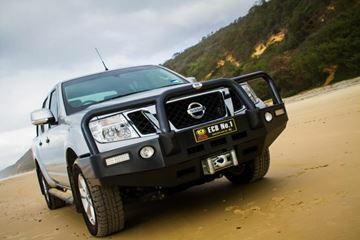 Keep your vehicle protected with ECB aluminium and steel bullbars. Browse some of our products below or get a free quote for your vehicle. 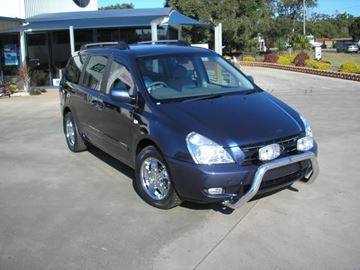 If the vehicle model you are looking for is not listed contact us here. 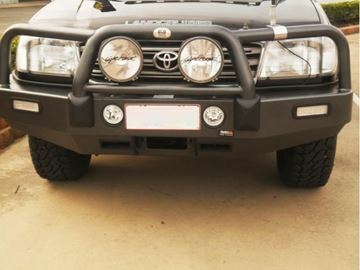 ECB Big tube powder coated alloy bullbar with fog lights to suit Toyoya 100 series land cruiser wagon......maintenance free, with the capability of a winch, call for a quote today.! 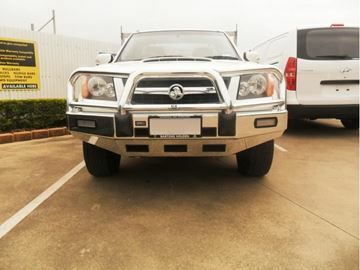 2010 Holden Colorado ECB Big tube polished alloy bullbar, looks supurb as well as giving you that little bit extra for protection, call for a quote today! 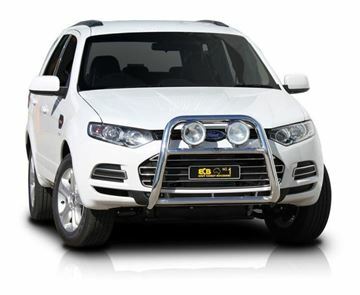 ECB Bigtube polished alloy bullbar with foglights to suit the Kluger 2010. These are a no cut design, allowing the bullbar to be removed, and not have any markings that there was a protection product fitted, great design,call for a quote today! Protection without the weight of the steel based product, call for a quote today!!!! 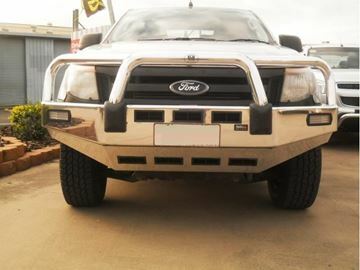 ECB Bigtube Polished Alloy Bullbar to suit Ford Ranger Dualcab no foglights. 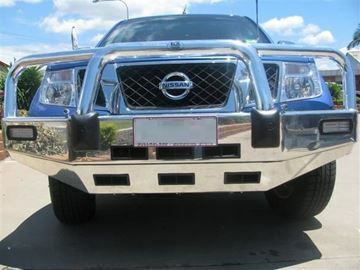 These bullbars are a full bumper replacement and look fantastic. Call for a quote today. 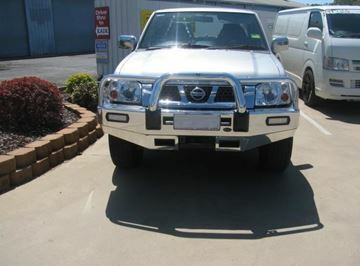 ECB Bigtube polished alloy winch compatable bullbar to suit D22 Navara dual cab The astute Nissan Navara owner will find it hard to go past the unmatched strength, quality and style of the ECB Big Tube Bar. This very versatile, no compromise design is fully featured to suit almost and driving conditions. Provisions for driving lights and an aerial bracket are standard features. 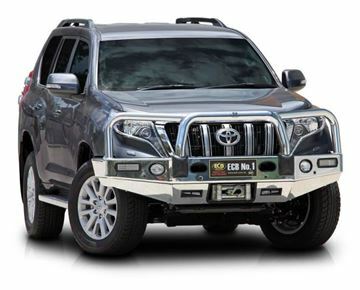 For the best in frontal protection for the Toyota Prado, you can't go past the strength, quality and style of the ECB Arc Winch Bar with ECB Bumper Lights. 2014 Nissan D40 Navara ECB Big tube powdercoated steel bullbar with with fog lights, winch compatable.This is a bumper cut bullbar and compliments the bullbar very well, also giving plenty of ventilation, call for a quote for your vehicle today!!! 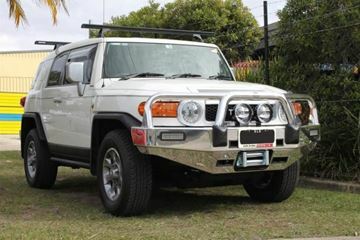 ECB Bullbar to suit FJ Cruiser 2014 model in polished alloy, quality Australian designed and manufactured out of high quality Structural grade alloy, you can't go past this for protection and design, call for a quote for your vehicle today! 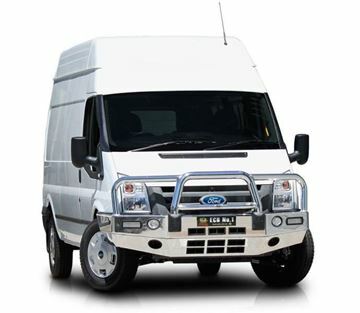 2014 Ford Transit ECB Big tube polished alloy bullbar with fog lights, these are a great design , and protect your vehicle from the unexpected, call for a quote today!